I have been writing about testing for some time now. I have even spoken about it at the EMEA Adobe Summit! So this week, for the first time since starting this blog, let me address your friendly marketer instead of you. The only ask for you, dear developer, is to print this, head over to her desk, then work through it with her. Thank you! Note: this is for Windows machines. I am 100% sure you can easily show your friendly marketer how to do all of this on her Mac if she has one. If not, read the Mac Edition. Let’s do them, one by one. Go to the Java SE download site and download the JDK. You’ll have to accept a license agreement. If your system can handle it, select the 64bit version. Run the installer, and you should end up with something like this. You can reveal and copy the full path in Explorer if you click into the address bar, so do that now. We now need to add an “environment variable” to her system. The easiest way to do that on Windows 10 is to tap Start, then type “environment”, then select the top entry. 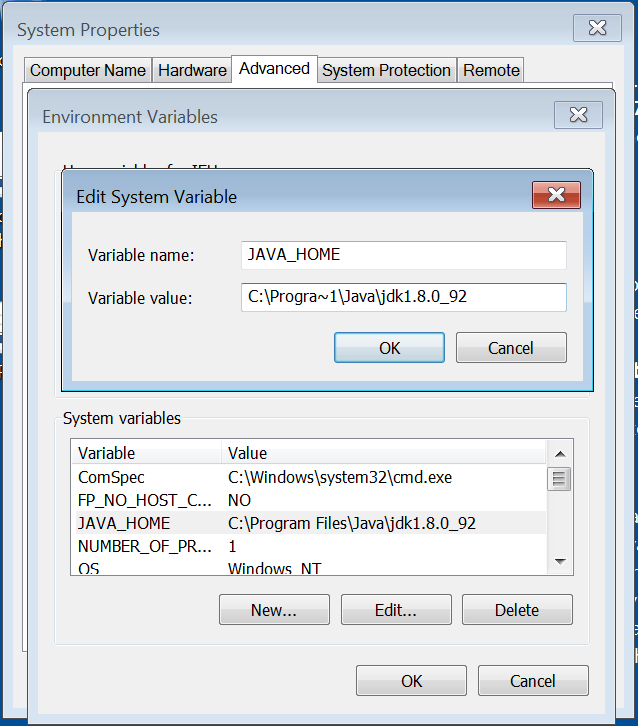 Click the “Environment Variables” button in the dialog that pops up, then the “New” button at the bottom, where the system variables are. Name the variable “JAVA_HOME”, and paste your path. Attention! Windows is funny with spaces, so you should replace “Program Files” with “Progra~1”. That’s a really old trick from the 90s, I believe. Go to the Git site and click the “Downloads for Windows” button. That should automatically trigger the download of an installer. I keep all the defaults, including “Use Git from the Windows Command Prompt”, just because it makes my life easier. YMMV. I should get some version information back. 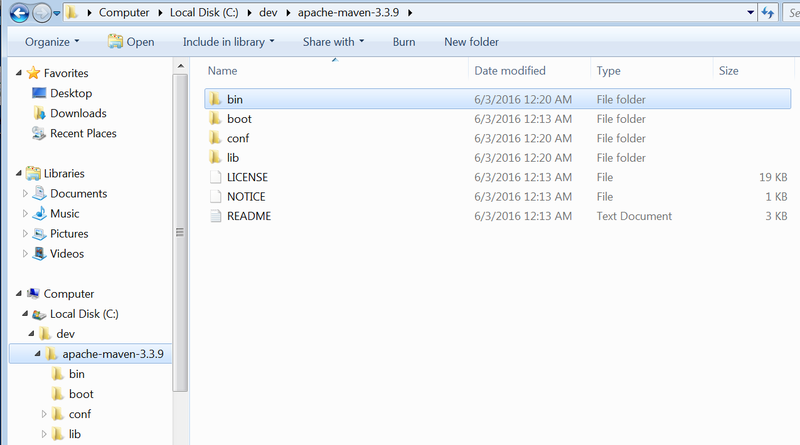 Download Maven from the Apache Maven Project download page. You’ll need the ZIP file. You can unzip this to anywhere on your machine. I usually create a folder called “dev” on my C: drive, then unzip into that. I choose a short folder name, because this folder has to be added to the PATH variable later. 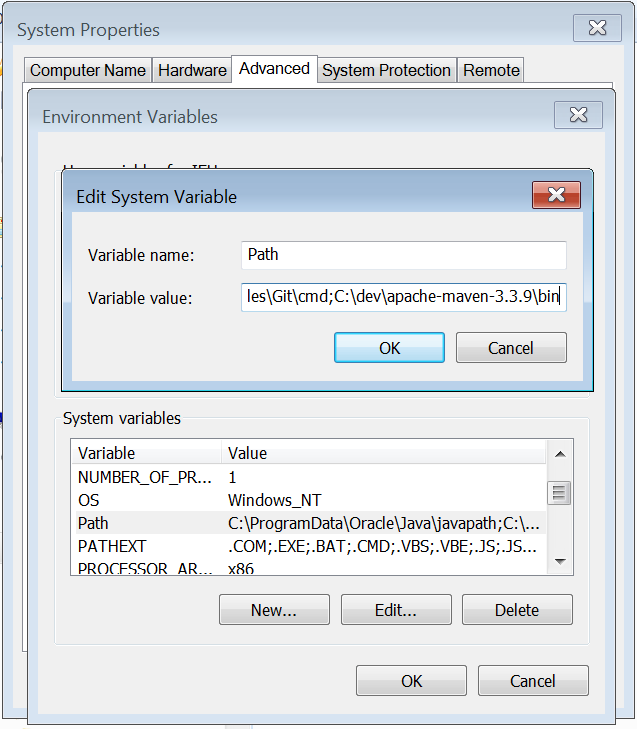 We need to add the path to the bin folder to the PATH variable, so go back into the settings, environment variables, find PATH in the System variables, edit it, and append the path to the maven bin folder. You should get some version information back. Download PhantomJS from the PhantomJS download page. Get the ZIP file. Like with Maven, unzip this into your dev folder. Again, you need to add the bin folder to your PATH system environment variable, but by know, you know how to do that. Download and install Chrome Canary. While technically, you could use your regular Chrome for the tests, I would use Canary as a fresh, non-customised, raw testing tool. Download the latest version of ChromeDriver (2.37 at the time of this writing). You’ll find the ZIP file if you follow the “Latest Release” link on the downloads page. Like with the other tools above, unzip this into your dev folder. Like before, you need to add the folder to your PATH system environment variable. Since this is just a single file, you’ll add the dev folder to the path, this time. We’re done with installations now, it is time to download the test framework. and hit enter. Watch git download stuff. You’ll see a lot of activity in that window. 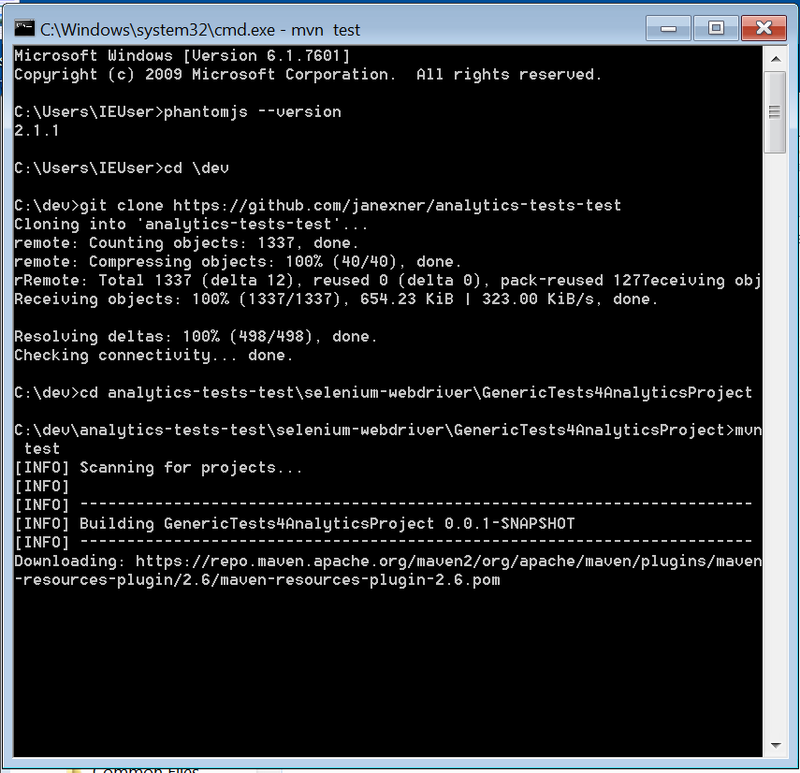 The first time round, Maven needs to download some stuff, build the test framework, and then run the tests. Subsequent test runs will be faster, I promise! My guess would be that something in my test description file is wrong, or that I have an error in my prototype somewhere. 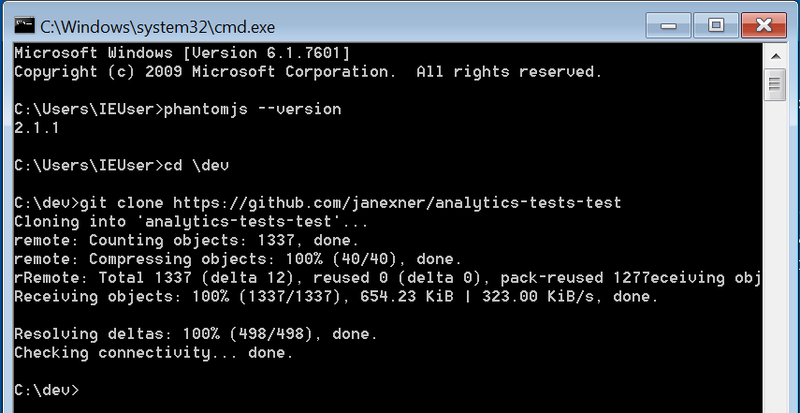 The test framework is now setup and working. From here, you can start building your own tests. The best way to do that is to take it slow. Start with an empty test description file and add tests, one at a time. Here’s a simple file you could start with, just replace the URL with one you want to test. All it does is test whether jQuery is actually loaded on that page. 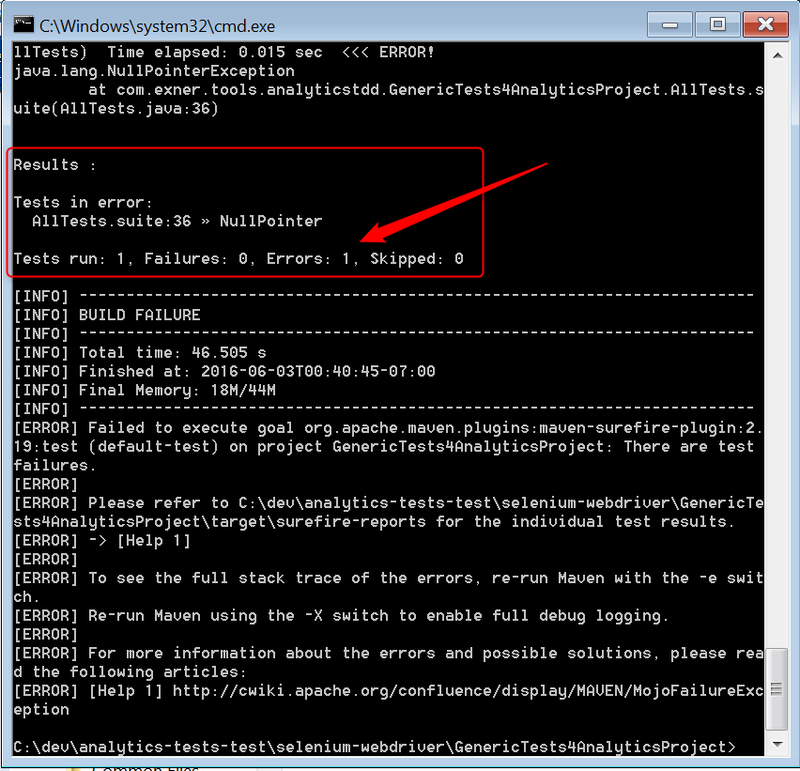 The other tests that you can add are documented on github. When you have built a test file that works for you, I suggest you automate. Now when I say “you” in this post, I mean either you, the developer, or you, the friendly marketer. In the “What next?” chapter, the “you” is likely the friendly marketer or an analytics team member. But now we’re back to “you”, the developer. I am counting on you (yes, you!) to integrate the test framework into your usual integration or regression tests. These should run every time before you go live with a new version of your site! Can this tool be used with gradle instead of maven. If so what are the parameters you would use in the gradle build file ? I don’t know gradle at all, but I guess it should. Following the advice on https://gradle.org/migrating-a-maven-build-to-gradle/, I just tried a `gradle init` (which worked) followed by a `gradle build` (which didn’t). I’m fairly new to this tool as in i only started using it today! Its going to make my life so much easier over the coming months when the company i’m with finishes the implementation of a new and fully fledged data layer (the current one is more of a place holder and doesn’t contain a lot of data). This method covers the data layer in terms of what’s available when the page loads. Do you plan to extend this technique, or is there already a way, to be able to emulate events that push data to the data layer. say, for example, we have some sort of AJAX component on the site that returns data and fires a direct call rule after the user interacts with it. can we some how emulate that behaviour within the test description? There are probably different ways of doing this. I’m not sure how to do it in pure JS, to be honest.